"I want to be a pastor in a high school," Foles said Thursday. "It's on my heart. I took a leap of faith last year and signed up to take classes at seminary. I wanted to continue to learn and challenge my faith. It's a challenge because you are writing papers that are biblically correct. You want to impact people's hearts." Foles is part of a team that has a strong Christian brotherhood. "There is no excuse other than legitimate life-preserving self-defense for a man becoming physically violent towards a woman"
"Footage of a player dragging an unconscious woman from an elevator gets the player a two-day suspension, but footage of the act that put her in that condition gets him suspended indefinitely?" 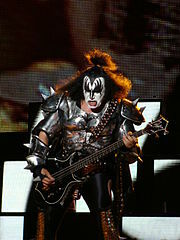 Read more about "There is no excuse other than legitimate life-preserving self-defense for a man becoming physically violent towards a woman"
Gene Simmons on Tebow: "But a guy who’s religious and has got family values isn’t ‘cool?’ He’s cool to me"
Read more about Gene Simmons on Tebow: "But a guy who’s religious and has got family values isn’t ‘cool?’ He’s cool to me"
"I PRAISE YOU 24/7!!!!!! AND THIS HOW YOU DO ME!!!!! " Read more about "I PRAISE YOU 24/7!!!!!! AND THIS HOW YOU DO ME!!!!! "